We invite you to partner with Cascade Connections during our upcoming fundraising event, 2019 Fourth Annual Hamster Crawl. 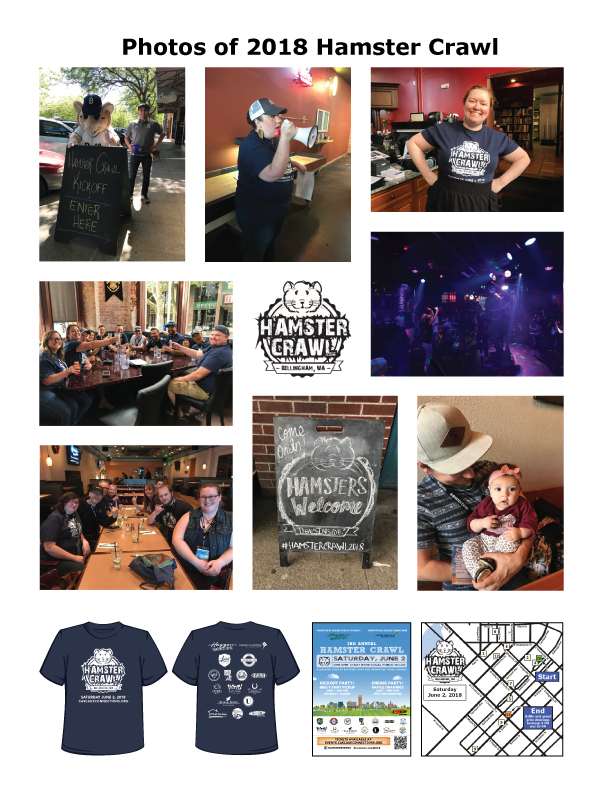 If your business is interested in sponsoring the Hamster Crawl, donating for the raffle, and/or becoming route sponsor, please download the sponsorship packet below. Thank you for your support in advance! There are three levels of route sponsorship – Platinum, Gold, and Silver. Past route sponsors include: Bellingham Bar & Grill, Bayou on Bay, Boundary Bay Brewery & Bistro, Brotha Dudes, Casa Que Pasa, Cosmos Bistro, Grand Avenue Alehouse, Horseshoe Cafe, Rock And Rye, Rook & Rogue Board Game Pub, The Firefly Lounge, The Local Public House, The Racket Bar & Pinball Lounge, The Underground, and Uisce Irish Pub. There are several ways to become a business sponsor – $1,200 cash donation (Hamster Crawl T-shirt sponsorship), $650 cash donation (Hamster Crawl lanyard sponsorship), $500 cash donation, $350 cash donation, and cash donation in other amount. If you or your business wish to donate raffle prizes for the Hamster Crawl, please fill out the form below! Let us know if you are attending the Hamster Crawl by clicking “Going” button on this page!